Valley is a faithful community of believers seeking to do God's will. We are guided by the teachings of Jesus Christ, through the power of the Holy Spirit. We are an enegetic and friendly congregation drawing from many communites. We value and welcome all and draw strength from our diversity of beliefs, backgrounds, and experiences. We find great joy in our worship through the sharing of music, word, and sacraments. We are committed to educating and guiding our youths and offering oppurtunities and services for growth to all members. We support mission programs locally and throughout the world. All this we do nurtured in the love of our Lord Jesus Christ. A small fellowship of Presbyterians began meeting together in 1976. For many years, they were a "church in the box" meeting wherever they could find a space; a firehouse, a funeral home(! ), a bank, and a school. 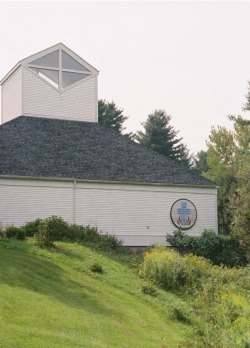 The fellowship was called Housatonic Valley Presbyterian Church, and it was overseen by the Connecticut Valley Presbytery of the United Presbyterian Church, USA (the old northern church before wider church reunion with the southern Presbyterian Church, USA 1983). In 1982 we were officially chartered as a congregation, Valley Presbyterian Church, on the floor of the General Assembly, held that year in Hartford, CT. Within a few years, we had enough money to break ground on the plot of land at 21 West Whisconier, just down the street from where we were worshipping. In 1986 we moved into our new building. We have had four settled pastors: Rev. Jim Gertmenian; Rev. Royal Garren; Rev. Ann Beams; and now Rev. Adele Crawford.